Circle Jerk was previously published in The Schwibly. 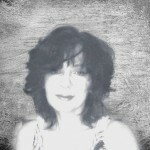 Paula Dawn Lietz is a widely published writer, photographer and artist who lives in rural Manitoba Canada. Ms. Lietz was awarded first prize in the United Kingdom Frost Photography International Competition 2011. Her writing, art, and photography have appeared in many publications, and she was responsible for the cover art of many of these. Learn more about Paula Dawn Lietz here. Our 2013 Young Writers Contest closed on March 1st with 106 entries from 21 different countries! Announcements will be made on May 1st, 2013. Congratulations to every young writer who participated! The 2014 Young Writers Contest Guidelines will be posted on June 1st, 2013. The “Occupied” 2013 issue of DoveTales has gone to press! The release date is slated for March 30th, but you will begin seeing some exciting changes on the website before then. Stay tuned, and thank you for your support! Writing for Peace encourages all young people to write and to believe their writing can make a difference, but is that equally true for boys and girls? Sadly, the latest VIDA Count indicates that we have a long way to go to achieve gender equality in the literary world. Please help us reverse this trend by reading works written be women and promoting your favorite women authors. Ask your children who they are reading in school, supplement their reading list with books by women authors, and talk to their teachers, librarians, and principals about adding women authors to their curriculum. Take note of the authors reviewed in your local papers and advocate for women authors. Head to your library or book store with a list of the twelve amazing women on our Advisory Panel. And please make a statement in support of women writers here. Thank you! This entry was posted in Artist-in-Residence, Violence Against Women, Women's Equality and tagged Artist-in-Residence, Circle Jerk, Pd Lietz. Bookmark the permalink.